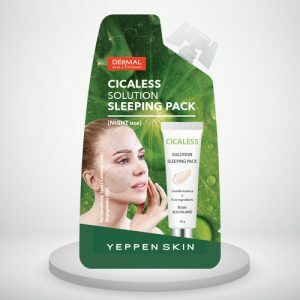 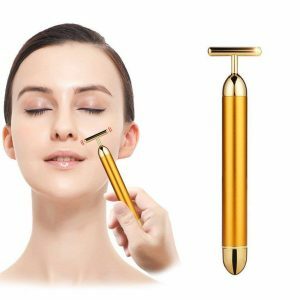 View cart “Dermal Yeppen Skin Cicaless Solution Sleeping Pack” has been added to your cart. 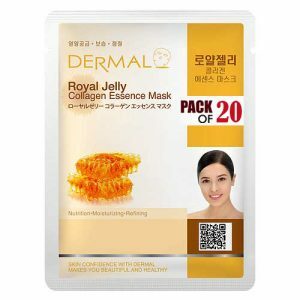 Best Buy Offer ! 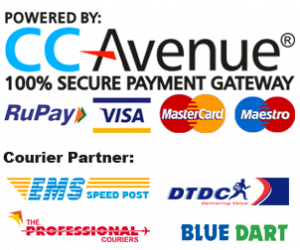 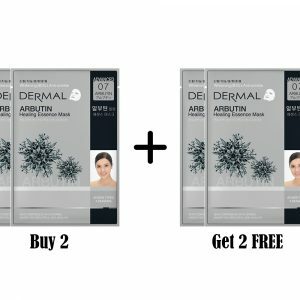 Buy 2 get 2 Masks Free ! Excellent Skin Lightening Effect ! Dermal Advanced Arbutin Healing Essence Mask contains Arbutin molecule uprooted from the bearberry plant that blocks the development of melanin. 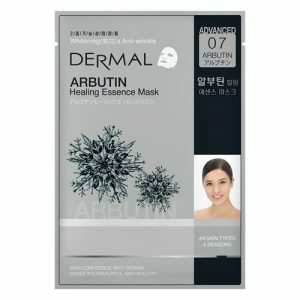 Arbutin is a natural skin lightening & whitening agent. 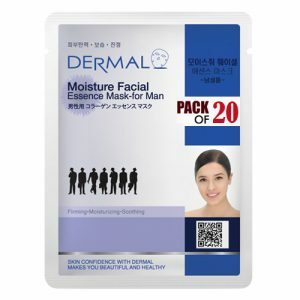 It works by slowly releasing hydroquinone through hydrolysis, which in turn blocks Tyrosinase activity and reduces the skin’s melanin (pigmentation) production diminish Melasma, Freckles, Age Spots. 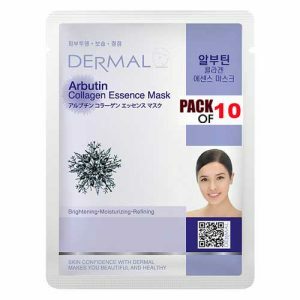 Dermal Advanced Arbutin healing essence mask also contains peptides & collagen which increase the healing power reduces dark spots & scars gives a flawless appearance. 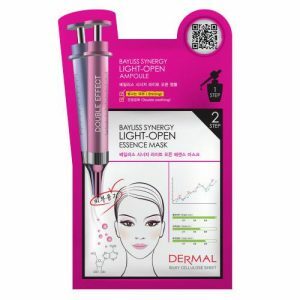 Lightens & brightens tone for flawless skin. 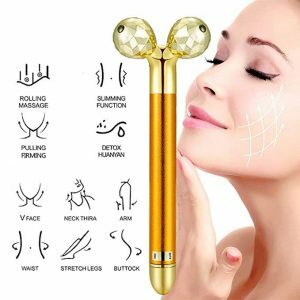 Improves the scars texture helps it to disappear. Deeply nourish the skin & give a healthy glow. 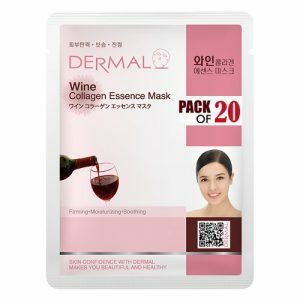 Expiry: 2yrs from the manufacturing date. 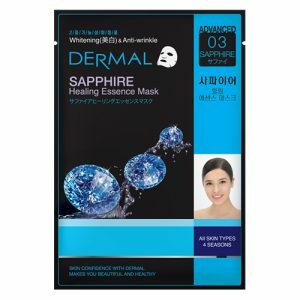 Dermal Advanced Sapphire healing Essence mask contains Sapphire powder which is enriched with minerals, enzymes & amino acids which deeply hydrate and protect the skin making it clear, smooth, rejuvenated and youthful. 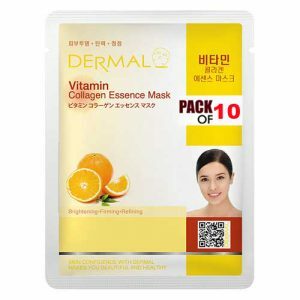 It removes dead cells, restores and maintains the ideal skin and safeguards it from harmful environmental effects. 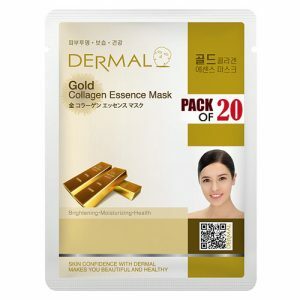 Dermal Advanced Sapphire healing essence mask also contains peptides & collagen which increase the healing power reduces dark spots & scars gives a flawless appearance. Lightens the skin tone & gives a healthy glow. 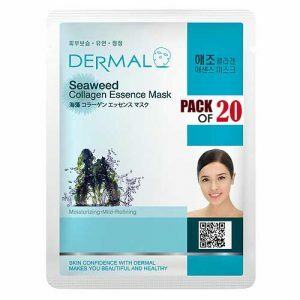 Useful to treat many kinds of skin disease. 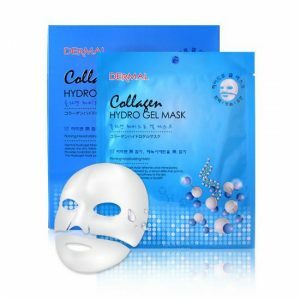 Exfoliate the skin & regenerate new cells. 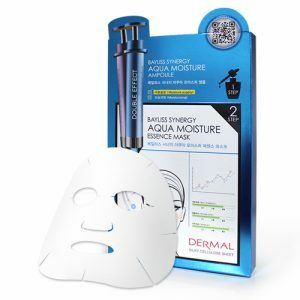 Description: Aqua Moisture mask provides maximum moisture with skin protection, wrinkle care. Description: Clean water mask provides clean skin, maximum moisture with sebum control. 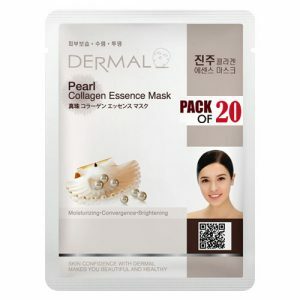 Description: Elastic skin mask keeps maximum moisture with wrinkle care and sebum control. Description: Light-open mask gives bright to your skin with moisture and clean looking face. Description: Relax calming mask can help with trouble skin and provide double soothing effect to the skin. Description: It contains Marine collagen which is effective for providing moisture and elasticity to skin. Thus, it keeps your skin always moist and healthy. Dermal Korea EGF Hydro Gel Face Mask Contains “EGF” which is a vital protein found in the fibroblast cells of the dermal layer, and it works to stimulate cells to produce collagen. Biologist, “ Stanley Cohen” discovered “E.G.F” ingredient, and he got a Nobel medicine prize for it. 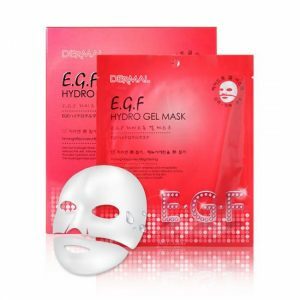 The “E.G.F” ingredient keeps your tired skin elastic and refreshing. 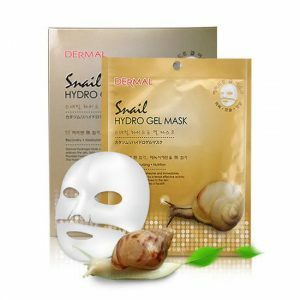 Description: Snail hydro gel mask provides moisture into skin, and helps to accelerate the skin’s renewal process, it helps change wrinkled skin to firm skin. 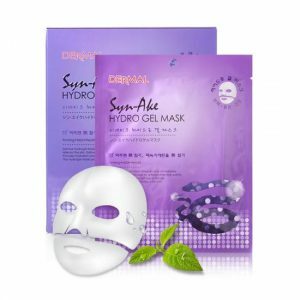 Description: SYN-AKE (Similar to Synake peptite ), has an immediate effectiveness for anti wrinkle keeping smooth and firming to skin.